The measure of art is how successful it is as an agent to alter and enrich the viewer's capacity to experience the universe. Art is supposed to cast the scales from your eyes and enable you to see the world anew. It is not about pretty pictures and social climbing. My art is about authentic experience transformed into signs and pathways to encourage experience of a wider and wilder world. Painting in the wilderness has become a significant focus of my artistic life. I’ve been going out into the backcountry of Alaska every year starting in 1989 with the goal of representing something of what it is like to be immersed in that wilderness. My artwork serves as a tool for me to recall those special times. I have taken more than 70 extended trips dedicated to this purpose. In 2018 I relocated to Florida. I continue my committment to working in Alaska's wilderness while embracing the radically different land, sky and waterscape of Florida. Amidst the clamor of humanity en masse, shy truth hides; in wilderness the truth comes out to play. Solitude needs to be combined with an outside focus, else it is navel-gazing. The wilderness is my cornerstone. And when I’m in my studio alone, I recall the relative purity of the wilderness experience and try to attain that same clarity that I find in wild places. The Alaskan wilderness is my home of innermost longing. and the rolling walk of grizzlies. 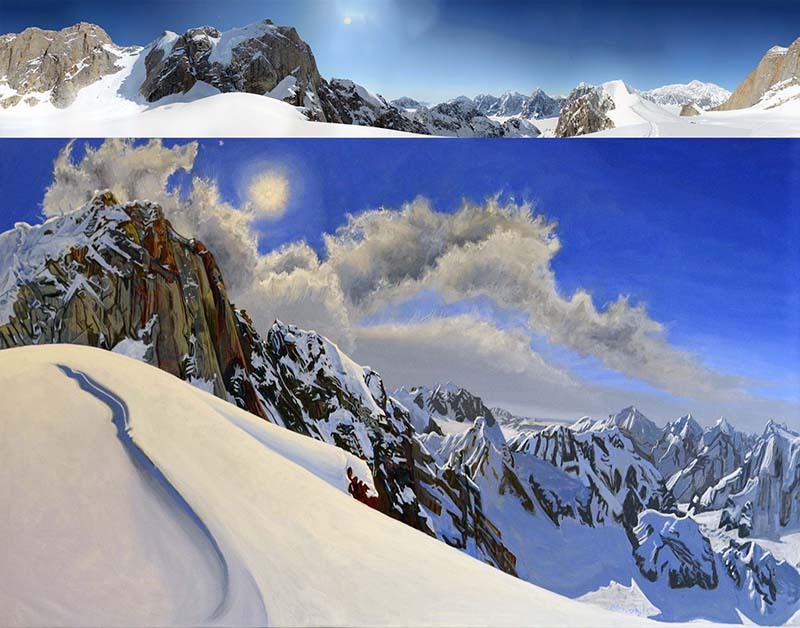 As anything to do with the landscape, my art is about the perception, representation and contemplation of space. Please look at a Painter in the Wilderness, a Google Docs presentation, for some more information about how and why I paint in wild places. Your comments are welcome.